DIY Garden Grow Box and Trellis Combo | The garden! 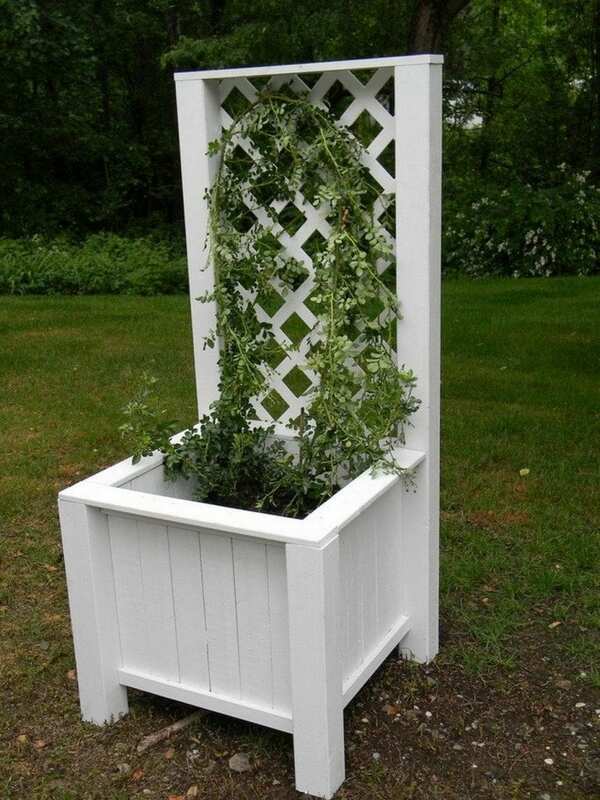 A garden grow box and trellis combo will be a great decorative element to your garden – and functional, too! Trellises are great decorative elements for your backyard, don’t you think so? They look nice especially when the plants have started to climb through them. If you’re planning on putting up trellises, you can take it up a notch by including grow boxes in them. You can choose to plant vegetables or flowers. The choice is yours. A grow box and trellis combo is a great idea especially if you have limited garden space. It combines both decorative and functional elements so it’s basically similar to hitting two birds with one stone. Needless to say, this project is really worth your while. You can plant cucumbers, peppers, tomatoes, and zucchinis, among many others. Or choose to grow flowers in them, too!